Ender's Game is one of the great ones, a novel of extraordinary power that is among the very best the genre has produced. 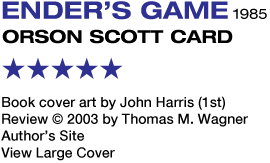 Written at a stage in Orson Scott Card's career when it seemed as if he could genuinely do no wrong, Ender's Game takes a familiar theme from war fiction — war as seen through the eyes of a child, as in Ballard's Empire of the Sun — and reframes it by making the child the war's central figure. It is a tale defined by a sense of both tragic inevitability and cold irony. It is not merely about the loss of innocence, as so many stories are with children at their center. It is about innocence systematically deceived and purposefully destroyed in the fanatical pursuit of a misguided higher ideal. Andrew Wiggin, aka Ender, is a six-year-old boy born into a future that has suffered two devastating invasions from an alien hive-mind species commonly called the buggers. Human population controls are now strictly in place, and Ender is the third child born to his family. The International Fleet, whose task it is to prepare for the next bugger invasion, monitors children through devices implanted on their necks, to determine who can be trained from a very young age to be the next generation of soldiers defending Earth from these marauding beasts. The I.F. originally had its sights set on Ender's big brother Peter. But when it became clear Peter was not exactly what they were looking for, the Wiggins were authorized to have Ender, their Third. This is usually a stigma, but Ender shakes it off by excelling in every way. 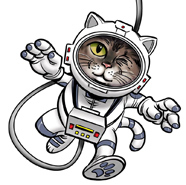 Separated from his family before he is even seven years old (to only one of whom, his sister Valentine, he has a close bond), Ender is sent into space to attend Battle School. There, he and hundreds of other children and adolescents are subjected to grueling training that takes the form of war games, played both in computer simulation (video games, essentially) and in real time combat practice in an enormous zero-G chamber called the Battle Room. Ender is a natural. He excels immediately, and becomes commander of his own platoon ridiculously early. But Colonel Graff, commanding officer of the Battle School, is grooming Ender, pushing him right to the limits of endurance. Graff is playing games too, it seems, with Ender as the pawn. The I.F. is looking for humanity's new savior, just as, years ago, a pilot named Mazer Rackham became humanity's savior by fending off the buggers when all seemed lost. Ender's Game works from its first page to its last. For one thing, it's the character study of a young boy whose childhood is being denied him by those who are in fact putting on a show of catering to it. The battle games are just that, games, but the consequences are real in terms of how they effect real lives. Ender's flawless leadership record — his gift for unconventional thinking means he never once loses, even when the odds are absurdly stacked against him and his platoon — earns him enemies among lesser, jealous commanders, and an actual attempt on his life is made. When Ender successfully defends himself against one, using the same skills at thinking on his feet that have made him victorious in the Battle Room, the blinders come off. This world of children's games is in fact one that deals in the grim realities of life and death. But are the blinders off all the way? The I.F. is clear about their agenda: fight the buggers. What they aren't clear about are their methods. The more Ender advances, the more it becomes clear the Battle School's games have no rules at all, or none that can't be changed completely. 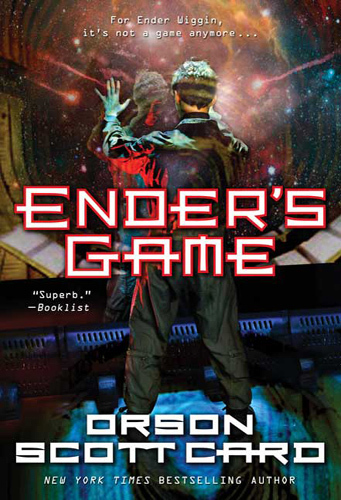 Ender's Game examines the ethics of power and the role sheer manipulation can play in forming the cultural and political landscape people live in. Both in the Battle School, and in an interesting — and astoundingly prescient — subplot where Ender's siblings Peter and Valentine (both of whom are as much prodigies as he is in their own way) compose for their own amusement pseudonymous political essays on the web that end up having more influence worldwide than they could've dreamed of, Card explores how easily and unwittingly people can find themselves played. And even when you are aware of it, how difficult it can be to do anything about it. And this all comes to a head in the book's sucker-punch of a climax. Ender's Game is no didactic anti-war tract. It wouldn't be, really, as Card is a proud conservative. If the book has any message to deliver about war, it does so through the time-honored tradition of fine storytelling, and it's this: It's no game. Followed by Speaker for the Dead.